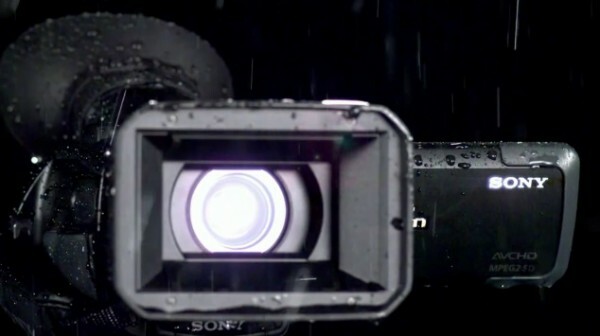 Need a camera that can withstand some harsh conditions? Sony has just the solution for you with their new HXR-NX70 camera. The next camera in their NXCAM line will feature up to 1080 60p recording, a 3.5″ flip out LCD and a detachable handle with XLR inputs all packed in a very compact body. MUITO LEGAL ESSA CAMERA, JA ESTA NO MERCADO?QUANTO CUSTA? Sorry but that is incorrect. Hitachi had a Hi-8 model which was dust and waterproof. VM-H80 I think it was. You can get it at http://www.tegasbroadcast.com.my/cms/main.php our office is in TEGAS BROADCAST & MULTIMEDIA SDN. BHD.